A new project that will make the Golden Eagle a more common sight across the skies of southern Scotland has reignited calls for the species to be recognised by the Scottish Parliament as Scotland’s national bird. The South of Scotland Golden Eagle Project, backed by funding from The Heritage Lottery Fund (£1.3m) as well as from Dumfries and Galloway and Scottish Borders LEADER programmes (£158,000), is a 5-year project aimed at boosting the Golden Eagle breeding pairs in the region from its current number of between only two and four – in comparison, the Highlands is home to around 500 pairs. It is hoped that the re-emergence of the species in the south of the country will be a boost to tourism and stop the eagles from dying out in the Dumfries & Galloway and Scottish Borders regions. In 2013, the bird was voted Scotland’s favourite wild animal following a public poll – which put the eagle on 40% of the overall vote and well ahead of other Scottish icons such as the Red Squirrel, the Red Deer, the Otter and the Harbour Seal. RSPB Scotland’s Duncan Orr-Ewing believes the time has now come to officially recognise the significance of the Golden Eagle to Scotland. He said: “The golden eagle is a bird species that is embedded within Scottish folklore, culture and traditions. For example clan chiefs used to sport eagle feathers as part of their regalia. The Queen’s Company of Archers wear eagle feathers. Gaelic place names recognise eagle presence in the landscape. “Unofficially, we believe that many people in Scotland already regard the golden eagle as Scotland’s national bird, however this is not formally recognised. We believe that there would be advantages for the conservation of the species by formal recognition, as with the bald eagle in the USA, as the national bird of that country. The USA has put significant resource into bald eagle conservation, a species whose population declined significantly in recent history, and has now substantially recovered through intense protection, reintroduction and other management programmes. 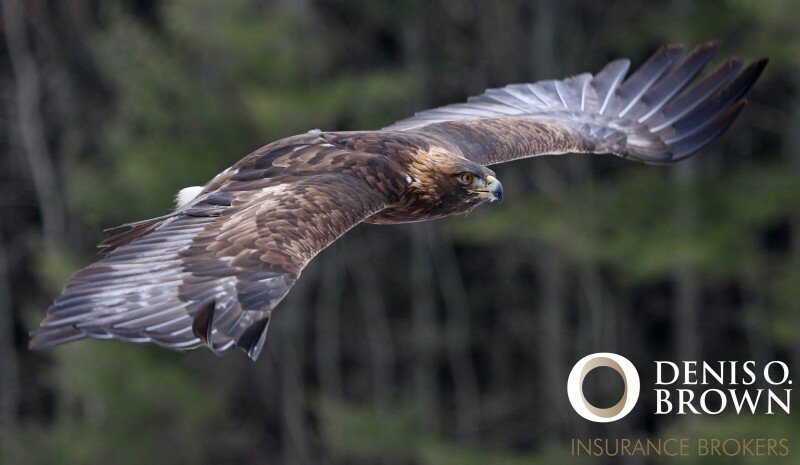 “[In 2013] we submitted a petition to the Scottish Parliament calling on them to recognise the golden eagle officially as Scotland’s national bird. Our petition largely fell around the matter that there was no recognised process for adopting national icons of this type – although MSPs seemed to largely have sympathy with the case. “However, I have to say that we were somewhat disappointed when shortly afterwards the Scots Pine was officially recognised as Scotland’s national tree despite the advised absence of any adoption process. This seemed to us to be inconsistent with what we had previously been advised.